This is my Nigerian-Indian take on chicken suya, super spicy and to tone it down I paired it with pillowy soft paratha. Thread the mini fillets onto wooden skewers onto the pre-soaked skewers. Using a mortar and pestle, mash the garlic and chilli together. Pop in the fridge either overnight or for a minimum of an 1 hour to allow all the spices seep in. Cook on both sides, you can either finish it on the cooker or cook for 10 minutes and then finish in a grill set at 180 degrees. Slice the onion and tomato and set aside. Using the same pan you cooked the chicken, place the paratha and cook till golden brown on both sides. 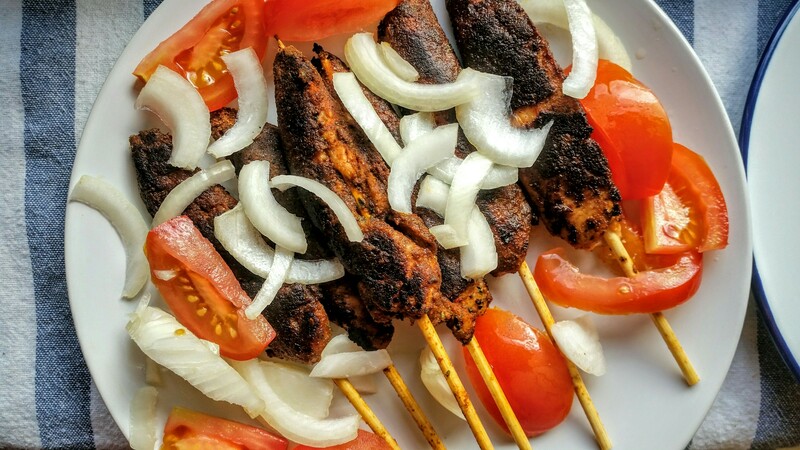 Now it’s time to plate up the chicken suya with the sliced onions and tomato. Don’t forget the paratha too. Tip: Soaking the skewers in warm water will keep the skewers from cooking along with the food. 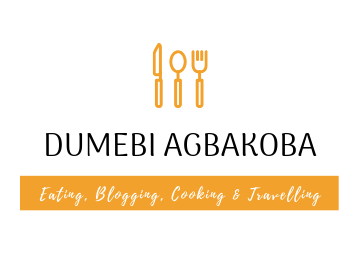 Note: If you are not afraid of spice, then try sprinkling some more suya spice mixture over the chicken.